Our company holds vast experience in this domain and is involved in offering Red Soil. Red soil is the best part of the Indian earth’s land on which we can see by the physically in our surround of the state like in the Tamil Nadu, southern Karnataka, north-eastern Andhra Pradesh and some parts of Madhya Pradesh, Chhattisgarh, and Odisha. It is the combination of the rock material and the ignitions part of the rocks and the mountain. Shine Green Agriculture Pvt. Ltd.
Chintamani Lawn Suppliers is involved in offering unique and impressive Red Soil to our valued clients. 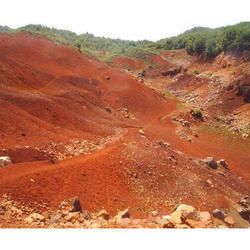 As a quality-oriented company, we are focused to present our clients excellent quality Red Soil. Being a leading enterprise of this industry, we are offering the best quality Gardening Red Soil. 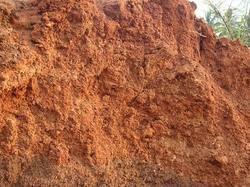 We are engaged in offering Red Soil, which is extremely praised in the market. Being a well-distinguished company in the market, we are into offering Red Murrum Soil. In western Maharashtra, these soils are observed in the western portion of Pune district and also in Thane and Raigad districts. These soils are formed from mixed parent material such as granite, gneiss, schist, trap, etc. On hills slopes, the soils are coarse, sandy in nature while in valleys they are clay loams. Garden red soil is very essential medium for the plants. Give substratum to plants roots it isrich in minerals and it is porrous well suitable all kind of gardening and landscaping works.